WASHINGTON — As Congress works to finalize a fiscal year 2019 spending bill for NASA, a senator is asking colleagues to secure the future of two of NASA’s largest astrophysics missions. In a Nov. 19 letter to Sens. Jerry Moran (R-Kan.) and Jeanne Shaheen (D-N.H.), the chair and ranking member respectively of the commerce, justice and science (CJS) appropriations subcommittee, Sen. Chris Van Hollen (D-Md.) said he hoped the committee would continue its “strong support” of NASA’s space science programs despite the problems some of those major missions have faced. In the case of the James Webb Space Telescope (JWST), that flagship program is facing cost overruns and schedule delays that have pushed back the mission’s launch to 2021 and will breach an $8 billion cost cap previously established by Congress. NASA requested $304.6 million for JWST in its fiscal year 2019 budget proposal. House and Senate versions of spending bills both provided that amount of funding for the program, and NASA said it does not need additional funding for the program in 2019 even with the delay. However, NASA estimates it will need approximately half a billion dollars of additional funding, spread over fiscal years 2020 and 2021, to accommodate the increased costs associated with the delay. Van Hollen noted that no additional money is needed for JWST in the spending bill currently under consideration, but asked for support for additional funding for the program in the next two years. “I look forward to working with you to balance the needs of JWST with other critical NASA missions,” he wrote. 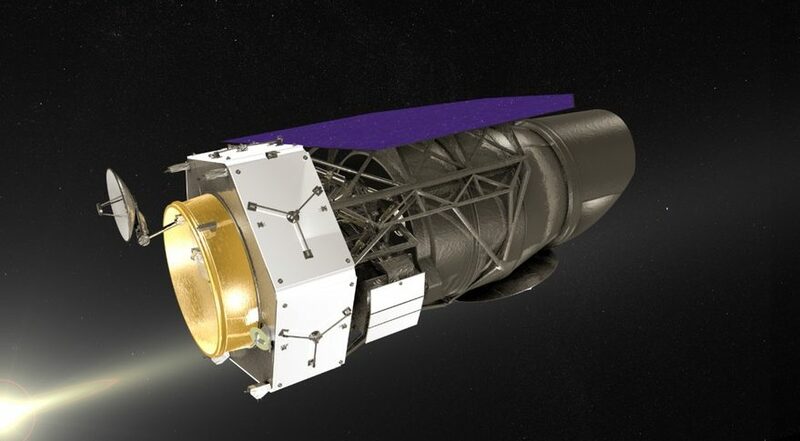 The other troubled astrophysics flagship mission at NASA is the Wide Field Infrared Survey Telescope (WFIRST), which the administration sought to cancel in the fiscal year 2019 budget request after NASA made changes to the mission to reduce its projected cost to $3.2 billion. However, the House CJS spending bill provided $150 million for the program, the same as it received in 2018, while the Senate offered $352 million, the amount needed to keep it on track for a 2025 launch. Van Hollen, in his letter, raised concerns about budget pressures on WFIRST that could arise from the need for additional JWST funding. “As you know, the overall cost of WFIRST is highly dependent on the phasing of the project, so to minimize costs, the project’s current funding profile must be maintained so that technical risk can be resolved on long-lead items and major contracts executed to begin work on the bus and other major components,” he wrote. Van Hollen does have some local interest in keeping JWST and WFIRST on track. The lead center for both missions is the Goddard Space Flight Center in Maryland. JWST science operations will be handled by the Space Telescope Science Institute, also located in Maryland. Congress, on recess this week for the Thanksgiving holidays, will return Nov. 26 under pressure to complete the CJS and several other spending bills. Much of the federal government, including NASA, is operating under a continuing resolution that funds agencies at 2018 levels through Dec. 7. That includes, in the case of NASA, continued work on WFIRST despite it not being funded in the administration’s original proposal. Budget pressures will likely only grow worse in fiscal year 2020, given the demands of JWST and WFIRST as well as likely increases sought in funding for various exploration activities as NASA constructs plans to return humans to the moon by the late 2020s. In addition, the Office of Management and Budget has requested federal agencies develop 2020 budget proposals with cuts of five percent, which in the case of NASA would be approximately $1 billion. NASA Administrator Jim Bridenstine warned at a Nov. 15 meeting of the National Space Council’s Users’ Advisory Group that such cuts could hurt the agency’s exploration plans. “If that materializes, no, we’re not going to have what we need to go to the moon,” he said.